Altitude effects wine flavors. 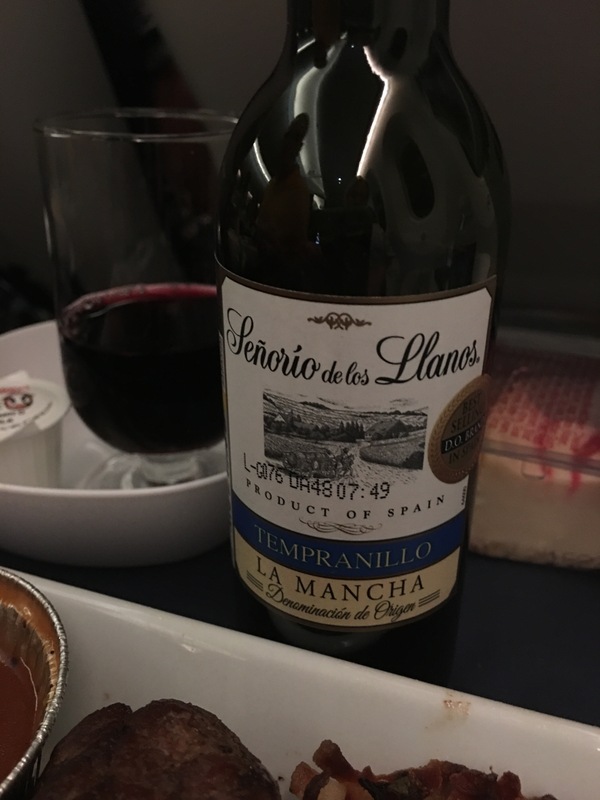 I’ve rarely been seated in 1st class, so my thoughts are that altitude makes cheap wine taste even cheaper. So that’s not exactly true. Dry wines seem even dryer, tannic wines are even more tannic. So sometimes an inexpensive red wine with a lot of juice and little tannin is your taste buds best friend at high altitude. Think Malbec, Montepuliano d’ Abruzzo, or in my case, for this flight a rather juicy Tempranillo. It worked for both ma AND my 3 oz medium well cooked steak. And let’s face it…only the plane ticket was expensive, not the wine! !